The What: Pexip recently made available Pexip Infinity 9, the latest version of the company's award-winning scalable meeting platform. Infinity 9 introduces more than 30 new and innovative features across user experience, platform, and administration enhancements. 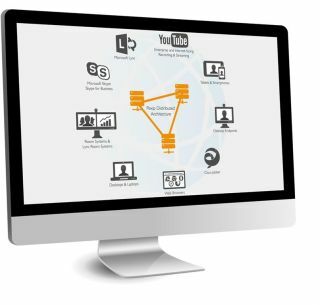 The What Else: New platform functionality includes such features as entirely new group chat possibilities, outbound media for streaming and recording capabilities using industry standard solutions and channels, and a host of enhancements that optimize the platform's usability, administration, and ease of use. Infinity's group chat introduces all-new media preview and inline content sharing. Infinity has also been revamped to provide users with a completely redesigned modern interface that improves workflows for browser-based conference participants. A new feature unique to Pexip Infinity is that of simple drag-and-drop PDF and image content sharing in Internet Explorer and Safari without the use of installable plugins. In addition, conference hosts gain the ability to quickly and easily manage entire conferences and their participants and manage who has access to the Virtual Meeting Room without the use of PIN codes. New in Infinity 9 is the addition of outbound media for streaming and recording capabilities, which enables users to send video directly to YouTube, Microsoft Azure, VBrick, Wowza, and other enterprise or public CDN services. On the platform enhancement side, Infinity 9 enables call policy decisions to be made by external systems. Additional Microsoft Lync integration benefits include features such as per-location Lync MSSIP domains, direct gateway calls to Lync's AV-MCU, audio-to-video escalation for audio-only calls, and much more. For administrators, Infinity 9 offers enhanced functionality to simplify daily usage, as well as setup, deployment, and management tasks. The Bottom Line: Available now, Pexip Infinity 9 adds more than 30 platform and user experience enhancements, including the ability for users to engage in extended functionality group chats from a variety of clients such as Microsoft Lync, Skype for Business, and browser-based clients, in addition to Pexip's own Infinity Connect suite.